TrioConcept is looking for a Front-End Web Developer. If you meet the requirements below, you will be eligible to apply via Digital Marketing Community. Provide code and unit tests, work on API specs, automation and conducts code reviews and testing. Develop java objects for supporting web applications. Collaborate closely with product owners on feature sets that impact platform, services and frameworks. At least 3 years of working experience in developing websites/portals UI. Deep working knowledge of converting visual designs to (HTML) with an acute eye for detail and design fidelity. Advanced understanding of mobile web design on (iOS/Android) devices and responsive web design. Effective experience in creating and developing user interfaces in a web environment. Extensive working skills in implementing front-end components optimized for speed and cross-browser compatibility. Ability to draft and communicate UI design concepts. 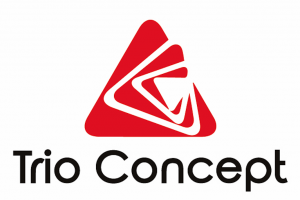 TrioConcept is a full-service interactive agency based in Egypt and Dubai provides client’s needs in IT and digital marketing services in one place, staff augmentation, mobile app development, web development, branding and digital communications services.